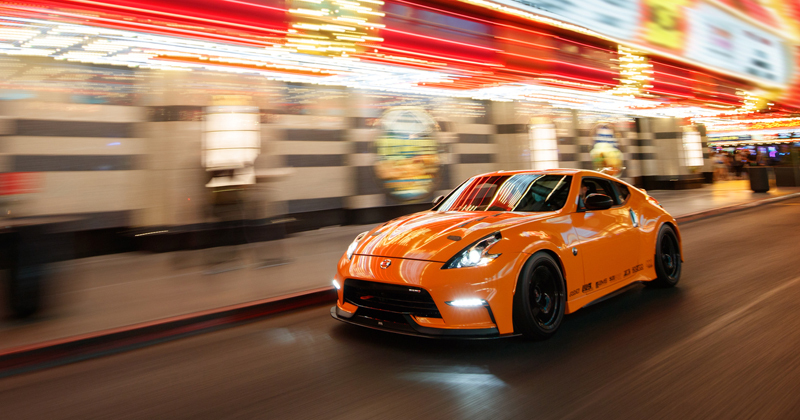 Nissan is bringing a modified 370Z packing 400 horsepower to Sin City for this year's SEMA show. 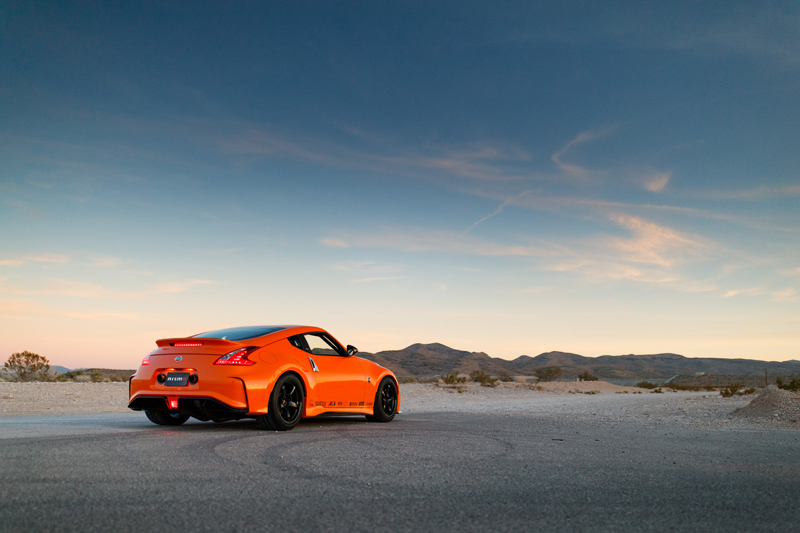 The automaker is focused on showcasing the enthusiast-centric approach to its iconic Z-car platform by utilizing man factory and aftermarket sourced elements to build the very orange show car. 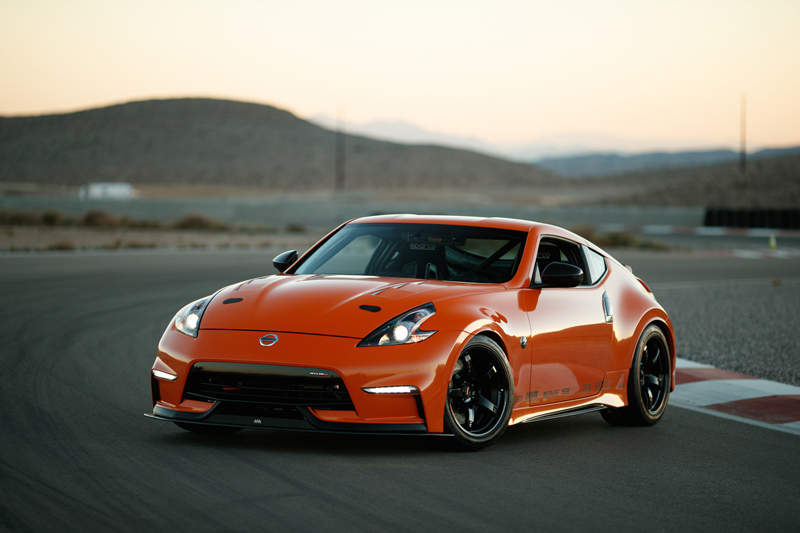 Dubbed "Project Clubsport 23," this 2012 Nissan 370Z ditches the manufacturer-equipped 350 horsepower 3.7-liter V-6 for the more compact VR30DDTT, a 3.0L twin turbo V-6 found in the Infiniti Q50 and Q60, rated for 400 horsepower. 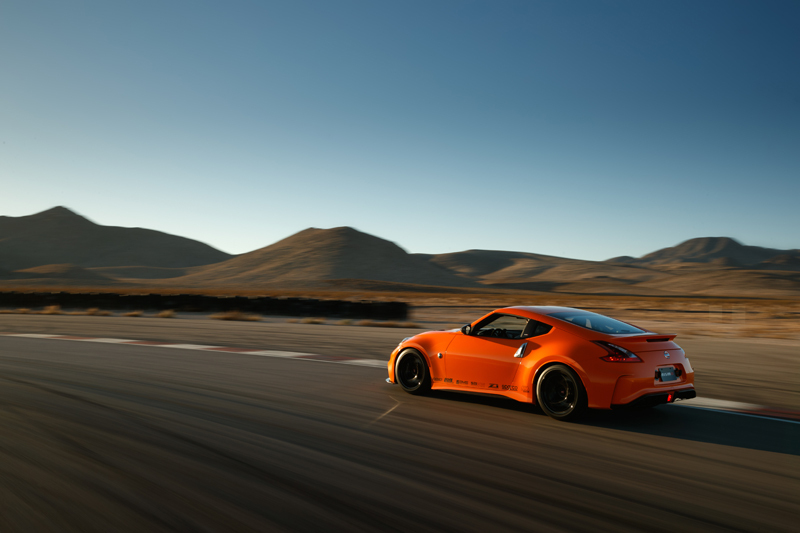 Since the VR30DDTT could only be sourced from vehicles with automatic transmission, a custom clutch setup had to be designed in order to retain the 370z's factory six-speed manual transmission. For this, the builders looked to MA Motorsports who developed a clutch disc, pressure plate, and flywheel to mate the transmission to the engine. Additional work was performed to ensure that the transmission and engine could "talk" to each other, as the engine was never designed to be used with a manual gearbox. Additional engine-related modifications include an AMS intake, AMS intercooler, Z1 Motorsports blow-off valves, and a custom bespoke exhaust which exits on each side of the license plate. Additionally, MA Motorsports designed several cooling components for the platform, including both a differential and power steering cooler to ensure optimal performance when the car is thrashed around the track. 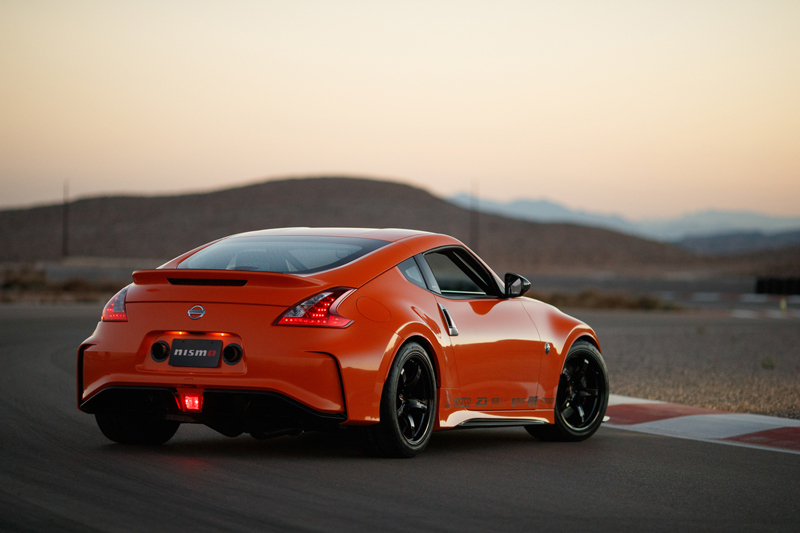 In order to satisfy additional power requirements, the braking system was upgraded to include Z1 Motorsports two-piece rotors, NISMO brake lines, and a soon-to-be-released NISMO track brake pad kit. The builders also called for suspension enhancements, swapping out the stock components for a set of KW Variant 3 coilovers with Eibach springs, as well as unspecified NISMO upgrades along with the front and rear suspension components. For looks, NISMO-branded Rays wheels were used to showcase a future product offering from Nissan. 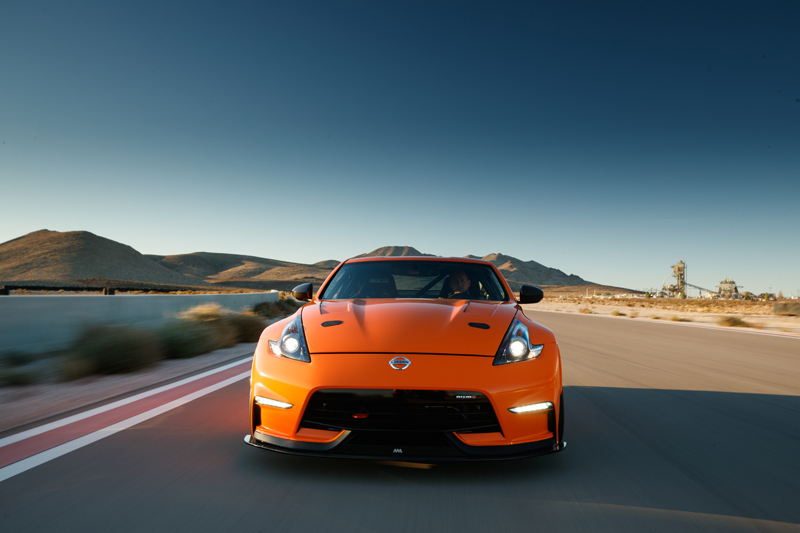 Exterior-wise, the 370Z is fitted with modified factory NISMO body components. Subtle upgrades, such as an APR carbon fiber splitter and a JDM rear fog light, are offset by the car's vibrant "gloss burnt orange" vinyl wrapped exterior. The interior of the 370Z is peppered with Sparco components, including the seats, harnesses, and steering wheel. Additional interior modifications include a roll cage, fire suppression, and custom upholstery. 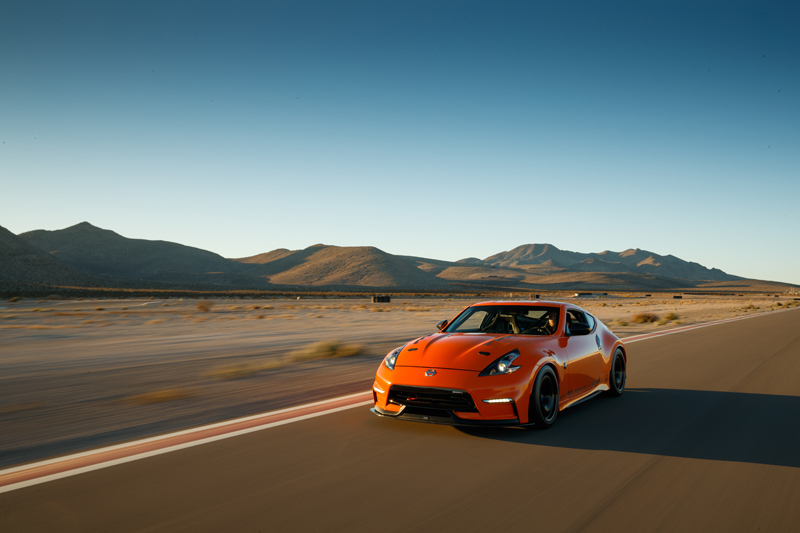 Nissan's 370Z remains to be the automaker's most popular enthusiast-centric sports car, even though it hasn't changed much since its initial introduction. Because of its following, the automaker says that it may offer a "builder's kit" that consisted of both hard parts and electrical components to help owners looking to perform similar upgrades in the future. Nissan notes that this is not a finalized decision and will ultimately be based on interest level.